Digital listening share has increased by 6% to a new record level of 37.8%, according to Rajar Q3 2014 listening figures released today, driven by the strong growth of digital stations, such as BBC Radio 6 Music, and digital listening in cars. 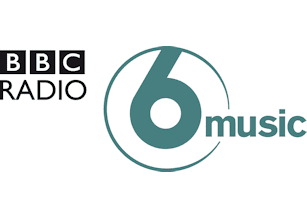 BBC Radio 6 Music is the leading digital-only station and grew by 15% to a new record of almost 2 million listeners (1.994 million). This increased the station's overall listening lead versus BBC Radio 3 which recorded 1.912 million listeners. All of the BBC's portfolio of digital only stations recorded audiences of over 1 million. Absolute Radio 80's, the leading commercial digital-only station, also saw a record number of listeners at 1.432 million, an increase of 18%. The overall Absolute Radio Network of stations saw growth of 20% in digital listeners. Another key driver of digital radio growth has been the 53% increase in digital listening hours in-car. A record 13.8% of in-car hours are now listened to on digital and a record 7.3 million people now listen to digital radio in their car each week, an increase of 1.6 million people year on year. This is consistent with the growth of new cars being sold with digital radio as standard which was 58% of all new cars in Sept 2014 (CAP/SMMT), up 47% from Sept 2013 (41.5%). Over half of the population (51.2% of the UK or 27.4 million people) now listens to digital radio platforms each week. Ownership of DAB digital radios continues to grow with 48.7% of the population or 26 million adults now having access to a DAB digital radio, up 8% year on year. DAB remains the most popular platform for digital listening, with 250 million hours, up 6% year on year. DAB listening growth has been driven by the increase of DAB listening in-car. Online/apps listening hours are up 12% year on year to 6.4% and radio listening on digital TVs declined by 4% to 5.0%. Ford Ennals, CEO of Digital Radio UK, says: “Digital listening has grown to a new high of 37.8% driven by record performances of digital only stations and the strong growth of digital listening in cars. The future of UK radio is definitely digital and it is pleasing to see the success of the new innovative digital only stations with so many more drivers now enjoying them in their cars. Digital radio is good news for the radio sector and good news for listeners."